Sofintsys provide training to show how to accommodate both Diagnostics and Functional Safety regimes with simple event detection, assessment logic and data structures to achieve error reporting, diagnostic infomation to ASIL C. Features include EGAS-like Primary (Level 1) functionality with secondary (Level 2) monitoring of application and Tertiary (Level 3) challenge systems within a Main Microcontroller and an independent Monitoring controller. For a new customer, Sofintsys provide Functional Safety expertise to define a product assessment for a Electric Power Assisted Steering system, Functional Safety Process doucmentation and support the customer with concepts, system designs and discussions, including with their vehicle OEM customer for a programme that ultimately requires ASIL D compliant product. Sofintsys help validate the architectural concepts through vehicle tests and refinement of the original lab data to match several variant hybrid vehicles, to demonstrate the portability and practicality. Sofintsys help prototype development of architectural concepts to simplify the complicated Calibration system for Hybrid Powertrain Control by separating aspects of the individual plants, their systematic capabilities when used as plant combinations, their vehicle and system configuration, their adaptation dependencies and adapatation life-cycles. Sofintsys articulate an architectural concept to segregate the Calibration components for its Hybrid Powertrain Controllers to allow separated expertise of individual plant/equipment calibrators to be imparted independently of systematic vehicle decisions and modalities of powertrain operation; thus segregating cross-functional depedencies between the powertrain components except where explicity coupled as part of the System design or vehicle configuration. Sofintsys pleased to be confirmed as speaker at AESIN 2017. Come and see how a single Software Architecture can meet the challenges of Powertrain needs in future variants of Plug-in Hybrid Electric vehicles whilst alowing maximum supplier choice and minimising calibration effort. Sofintsys back in China training Changan Engineers in Chongqing, China. Significant Training topics included an appreciation of all the components in a modern automotive powertrain system from turbocharged internal combustion engines, dual-clutch transmissions, powertrain electric motor and inverters, Batteries and recharging systems. We also spent time describing the difference between the ideal physics of components and the realities and attendant difficulties of the real-world mechanical systems, and the attendant complexity required of the solution. The Changan engineers are now well into their development and implementation for the first vehicle from the Product Line Software Architecture for the new Hybrid Vehicle Powertrain Control, but with typically 'mechanical' expertise in the senior management Sofintsys helped to define and plan early programme targets with feature sets that enable future demonstrations to senior management; instill and build confidence that the appropriate software knowledge, understanding and skills exist in Changan Chongqing in collaboration with Changan UK R & D centre... and that the Software Architecture supports all the System Requirements for the current and future vehicles! Sofintsys sets out the structure and the initial ideas on behaviour and internal communications for Hybrid Energy Management in order to accommodate variant and dynamically changing algorithms, from simple Charge Depletion/Charge Sustain, through varying adaptive Equivalent Cost Management Systems, depending on the available journey information (today and for the future). Clear separation is driven into Driver Request management, Driving Modes, Optimisation of Plants across Emissions and Cost penalties, and the optimal Operating point and transitional behaviour across power consumers and producers, both electrically and shaft power. Sofintsys defines a variant solution from its previously designed Transmission Control Product Line Architecture for a Dual Clutch Transmission and inter-plant coupling Clutch controls to be deployed on a Hybrid transmission that also incorporates an Electric Traction Motor and a novel hydraulic system. A variant prototype is rapidly generated from the core product in order to validate the mechanical solution. Sofintsys sets out the Software Architecture to enable a future Changan Product Line of Hybrid vehicles, initially focussed on P2 Architecture variants across a range of various vehicle mass, gasoline plant power, electrical machine power and battery capacities. Clear separation of Driver requests, and System driven needs, Emissions decisions from immediate Energy management needs and a focus on smooth tractive effort delivery even in transitions. Driveability improvements in Transmission Control are suggested for the DCT demonstrator vehicle. A series of control solutions are explored, a model of a control valve and actuator behaviour is constructed and a simple regime to improve Transmission Clutch hydraulic response to achieve a more responsive and accurate delivery of torque is proposed, implemented and tested. Sofintsys provides training to Changan Chongqing, China on principles of Software Architecture for the new Hybrid Vehicle and Transmission Control. The Transmission Control of a current Dual Clutch Transmission (DCT) equipped vehicle gets its first public demonstration to Changan management. Sofintsys initiates the creation, for Changan, of a new Hybrid Control Software architecture for the Vehicle Control Unit for a range of future Hybrid Electric Vehicles. Sofintsys helps its software engineering team focus on creating a Transmission Control Unit product, based on the newly devised architecture, towards an initial demonstration product. Sofintsys help Changan understand the systematic changes to the vehicle level architecture and communication needs within powertrain that are required when considering a product line that includes transmission controllers coupled to multiple, differentiated plants, such as in Hybrid Electric Vehicles. Sofintsys create and document Changan's Software Architecture for their Transmission Control Product Line, Train and Guide its Software Engineering team in the development of a highly modular product, whilst enabling future variant products (and vehicle integrations) to be accommodated. Sofintsys dig into the control sensitivities of the system, and define strategies for improving control that will lead to faster calibration, improved performance, reduced NVH and more customer satisfaction. Sofintsys take a significant role in reviewing, identifying areas of change and dealing with the Transmission Control Unit supplier to start a programme of development to improve the API, improve performance and improve flexibility across applications. Sofintsys provide contract services to create and document Changan's Software Architecture for their Transmission Control Product Line. Sofintsys asked to provide independent BAPO assessments and further retained for independent System and Software Technical Review services on Changan's Transmission Control Product Line. 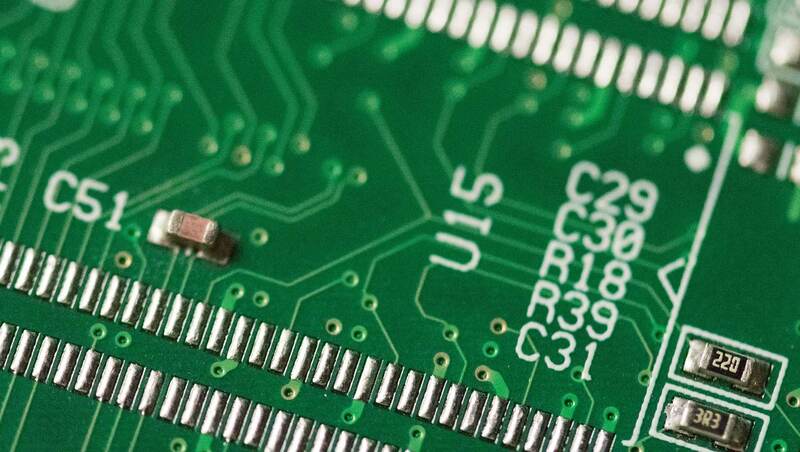 Dialog Semiconductor commissions Sofintsys to produce a report on Embedded Software Engineering in the 'Close-to-chip' industry. Work begins with Changan Europe supporting Product Line approaches to a new range of automotive Transmission Control systems. 'Safe-step' product prototype demonstrated as ready for sea-trials. Prototype product development of 'Safe-step' a marine motion detector designed as a safety aid for timing crew transfers from vessels on significant swells to basket or fixed platform structures. Sofintsys start work on prototype fast crew-transfer vessel "Tenacity" Control and Instrumentation system development, configuration, and integration of electrical, propulsion, manoeuvring for Coastal Charters Wave Access. Stuart Jobbins of Sofintsys invited to accept part-time role as Network Director for their Embedded Systems and Software Network and help envision, promote and deliver a valuable member network. Sofintsys delivers Software Product Line, Product Architecture and Organisational workshops for Meggitt in Simi Valley, Los Angeles as part of corpoarte initiative to minimise engineering costs, maximise productivity and continue to improve reliability across their aerospace product offerings. Happy New Year to all our customers, partners and associates. NMI appoints Stuart Jobbins as Chair of the "UK System and Software Leaders Forum"
Sofintsys Chief Executive (Stuart Jobbins) gives feedback on Member activities to the NMI Industry Summit at the Millenium Hotel Mayfair, London. NMI's Software Peer Forum: Collaboration with a future. Sofintsys Ltd becomes a member of NMI. Sofintsys Ltd, a technology consulting and engineering services company, serving Software Intensive Systems based business needs, was formed. We would like to be able to use your success stories, where we have contributed. If you are willing to let us link to those stories then please let us know.